Support from the Basic Research Programme of the National Research University Higher School of Economics is gratefully acknowledged (TOR-36: The impact of changes in economic and social policies on consumer behavior of the population and fostering conditions for active aging, 2015). The views expressed are those of the authors. We are the only responsible for any errors as well. Stiglitz, J. E., Sen, A. K., et al. (2009). Report by the commission on the measurement of economic performance and social progress. 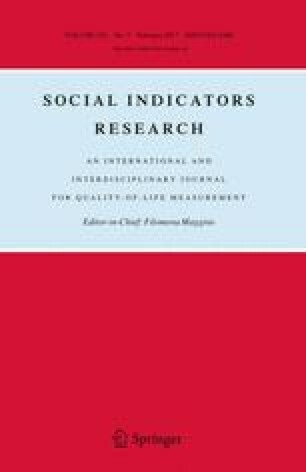 Paris: Available online from the Commission on the Measurement of Economic Performance and Social Progress: http://www.stiglitz-sen-fitoussi.fr/en/index.htm.